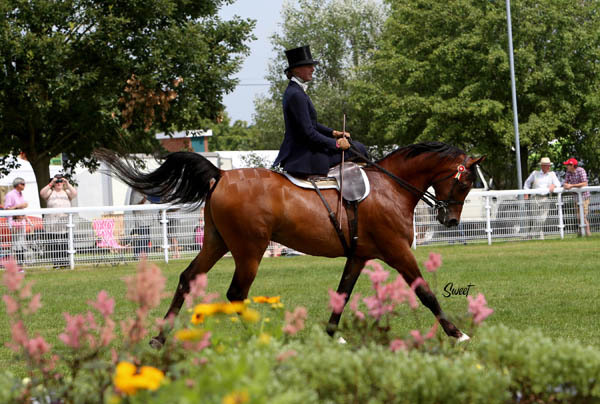 Breeder: Caroline Reid, AV Arabians. The Arab Horse Society has awarded the UK’s WAHO trophy in 2014 to the remarkably versatile bay stallion, AV Kubla Khan. This son of Aja Shakakhan and Ffemme Ffatal was bred by Caroline Reid at AV Arabians, he has proved to be a fantastic ambassador for the breed with his ability in multiple disciplines. 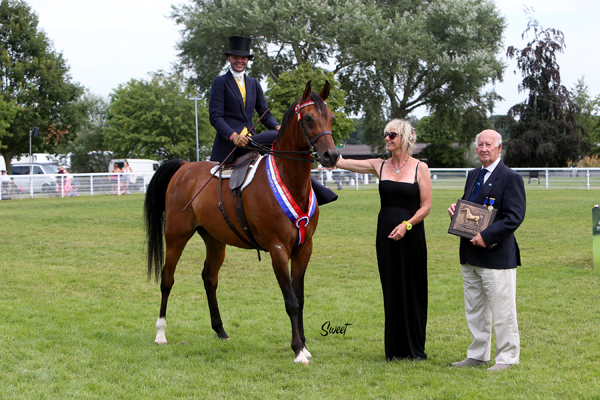 : Jessica Amess and AV Kubla Khan during the WAHO Trophy award ceremony at the 2014 British National Championships Show. ‘Tiger’, as he is known at home, is one of the most multi-talented Arabians in Britain today. Together with his owner Jess Amess he has competed with notable success in ridden classes including side saddle classes, in-hand classes, dressage, show-jumping and eventing. He has also taken part in the sport of polo, and been out hunting as well. Among his many successes are winning the Young Riders class at the AHS National Show at Malvern, where he has also been on the winning dressage team on numerous occasions. He has also won show-jumping classes at the AHS Nationals, ridden classes at the British Arabian Championship Show and the Young Riders class at the South East Arabian Horse Group shows.